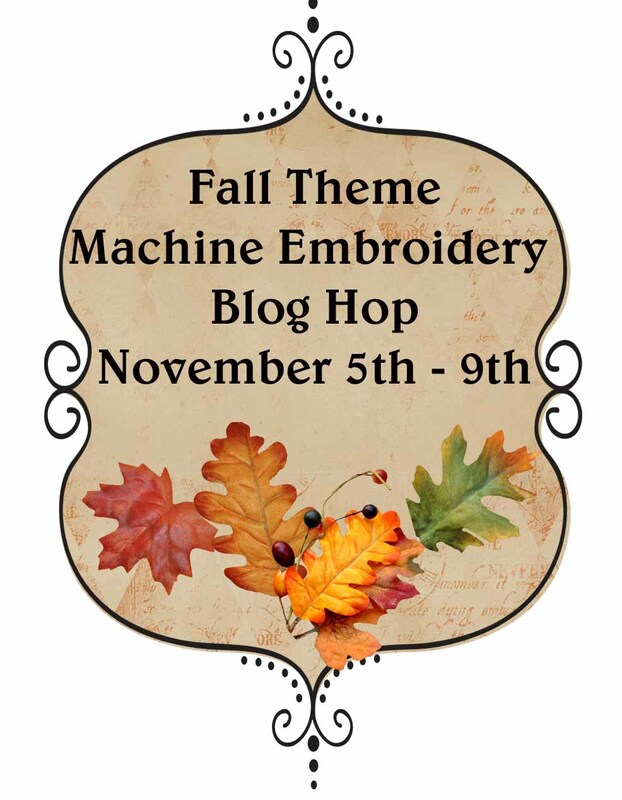 A Fall Machine Embroidery Blog Hop will be sharing inspiration with an emphasis on Fall, and Christmas ideas too! 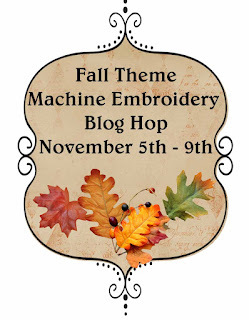 They'll also be some tips, tutorials, and giveaways in this fun blog hop. And, you don't have to do machine embroidery to join the fun in this event. Mark your calendars and come join the fun November 5th - 9th.